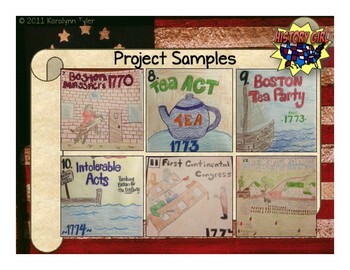 1 Instructional PowerPoint showing students how to create their project and providing project examples. 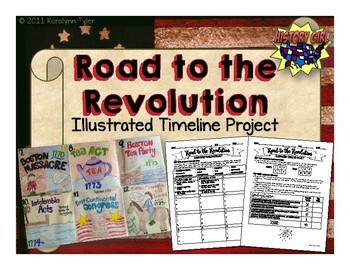 *This product does NOT include lessons about the events leading up to the Revolutionary War. 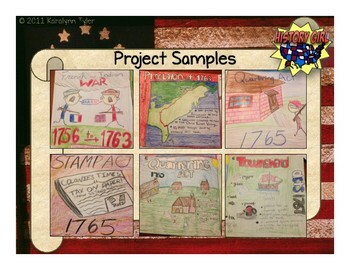 This product is meant to provide a unit project for students to showcase what they have learned about the events that led to the American Revolution. The contents of this download are for use by the customer only. I ask that teachers not post any part of this file online or on a publicly accessed shared server. You may link PDF versions of notes, PowerPoint slides, and assignments on a password protected online resource only for students to access. 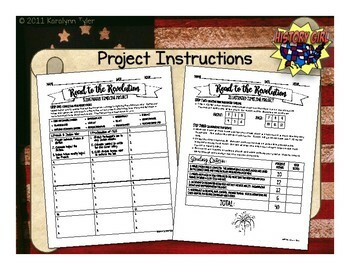 If you would like to share this resource with colleagues, please purchase additional copies from my Teachers Pay Teachers store at the multiple license rate.